"That there's a right perty slab o' wood, friend! Just itchin' to be sawed-up and built with!" "Bob, I hope those bulky feet don't deaden your sound too much. We'll see." "It's a little like sending away your children, isn't it? Beautiful work, my friend." "Take this tip for what it's worth: Heat it with a 30-watt pencil soldering iron for a few seconds, then gently push up one end of it with a sharp tool...."
"A good job on a beautiful dulcimer! Here's to many more!" "You could look at what C.B.Gitty offers. They have good quality parts at low prices. I use their sealed guitar tuners and have not had any problems with..."
"Very nice, Bob! When do you have time to sleep?" "That tailpiece looks familiar--- maybe off of a door frame, perhaps? Good work!" "Steven Berger: Wow, Dan! That 24 carat gold and diamond dulcimer is just what I'm in the market for! The shipping charge alone would kill the deal..."
"And I (John Knopf) have a black walnut J. E. Thomas hourglass dulcimer with hand-carved pegs and homemade strings. Upside-down heart soundholes and staple..."
"You could nickname her "Freckles" if you wanted to... Such a beauty, Dan. I'm proud of you." "Very nice and peaceful. The sound reminds me of Andres Segovia!" "Bob: Me thinks I have gotten myself into a bit more than I had thought... Oh, yes... maybe change your mind while you still can!" "Ken has a great method. I'll do that sometimes, or do it the other way. It should work either way. Either way, I get some wide masking tape and tightly..."
"Absolutely, stunningly beautiful, Bob, all the way around!" "Here is the outworking of some brainstorming I've had recently. You know how an idea gets in your head and won't go away peacefully? Well, this lil' guy is..."
"So, full steam ahead! Congratulations on building your first dulcimer. You'll get lots of ideas for future ones now." "Joolsy, You could try sanding the back flat if the bow is minor, or you could glue 3 feet on the back like they did in the old days." "I have not tried it, nor do I know what it is, but I know I've never tried it... What is it?" "That's an incredibly beautiful instrument, Lisa! Ben does a great job building." "All I found was this old listing on Reverb:https://reverb.com/item/6939411-music-crafts-mountain-music-dulcimer-4 string-vintage It probably looks like..."
"When I install frets on a completed dulcimer, sometimes instead of hammering onto the fretboard and soundbox (creating a blast of air in my face from the..."
"Great finds! Congratulations! I love going down to UrbanWoods in Ann Arbor, where they do the same thing. Several locally-owned sawmills cut down..."
"Hollowing the fretboard saves weight and adds more cubic inches of soundbox, and usually yields a little more sound. All things being equal, it's a good..."
"The only ones I've heard of are those offered at the John C. Campbell School of Folk Music (in Brasstown, NC), the ones John Huron (of Bristol, TN) offered..."
"Nope-- same size as yours, David! And much more playable." "Kevin, I spaced the strings that way in order to have the melody string go over the center of the frets rather than close to the edge, to make playing..."
"Hi, Gwen! Welcome to the world of the dulcimer. To answer your questions: 1. The shape of the dulcimer is personal preference. A wider body would..."
"Beauteous as always, Bob! Too pretty to play!" "You seem to be doing fine already with your posts. Best wishes for your playing and learning!" "I agree with Ken. Robin Clark should be able to help you, friend." 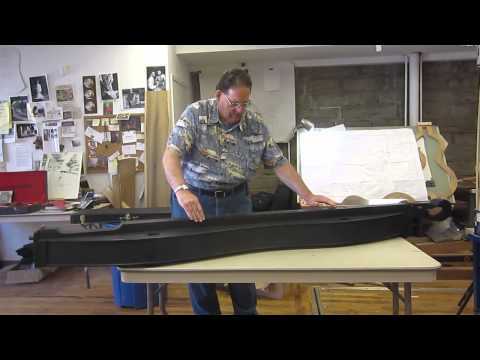 "The shape reminds me of the Black Mountain hourglass dulcimer-- wide and a little shortened. Pretty! " "Jimmy, please re-read this: Dan: The sides have a slight tension to them causing the sides to try to spring in, drawing the bottom up on the ends. When you..."
My latest creation is nearly finished. Bird's eye maple throughout. Here's the latest from my shop. My first chromatic (and last?). Love your profile pic dulcimer~it's amazing! John, please let me know whether you got my email reply. Thanks! Justlooking at your photos,that's quitea collection of dulcimers you'vegot there! and I thought I accepted it! Thanks. John, Yes, Mike kept it up on the site and I did see it. That was fantastic!!! Lisa had him to take it down. I asked Mike if there's any way he could put it up on Youtube and apparently he didn't have the capability to do that. I did see it and I think Uncle Eddie sounds great. I'm hoping to make a trip to Kentucky to see it. I've got to save my pennies Thanks John!! !